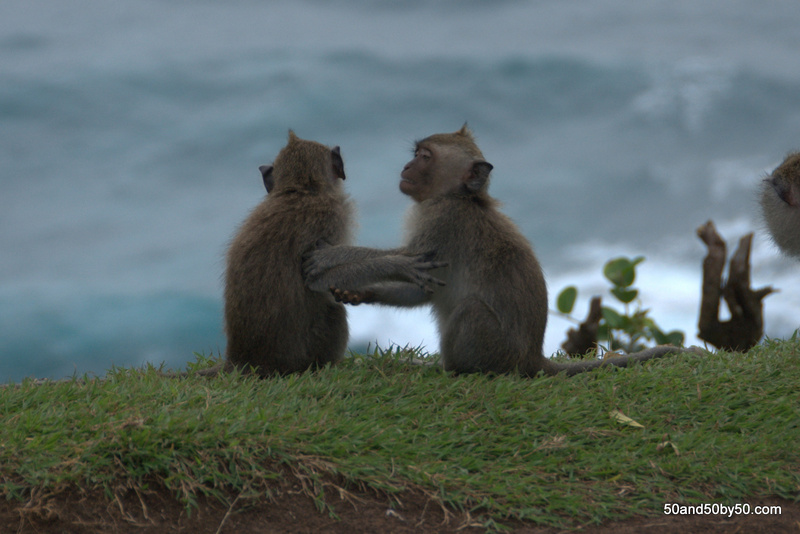 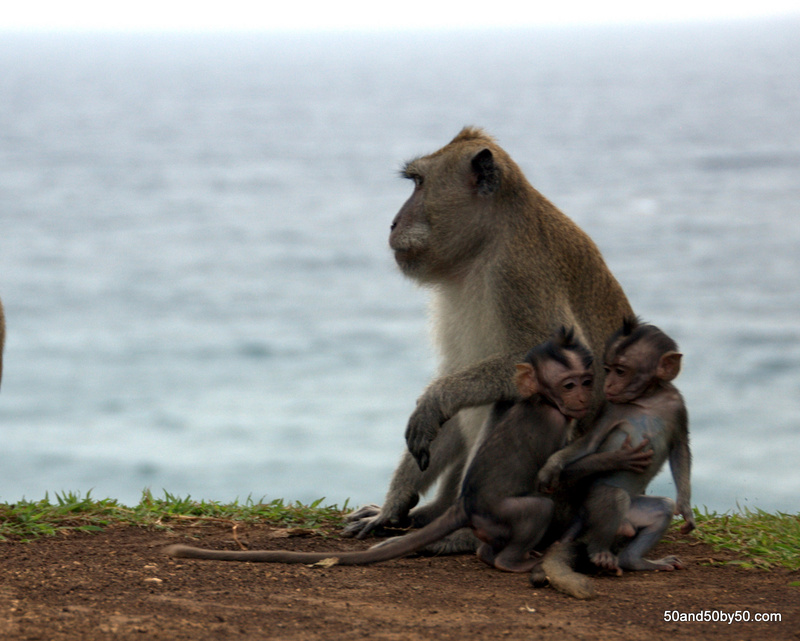 Both photo galleries from our day with the monkeys on the cliffs of Ulu Watu are below – click SL for slideshow, and FS for full screen mode. 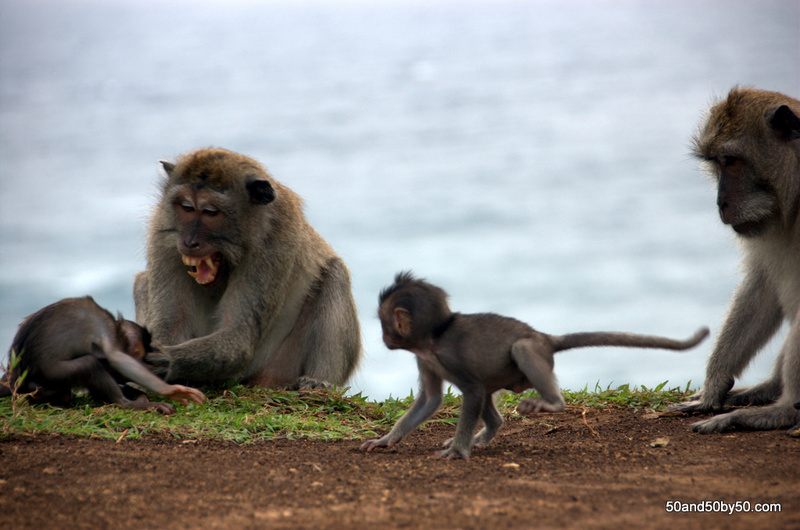 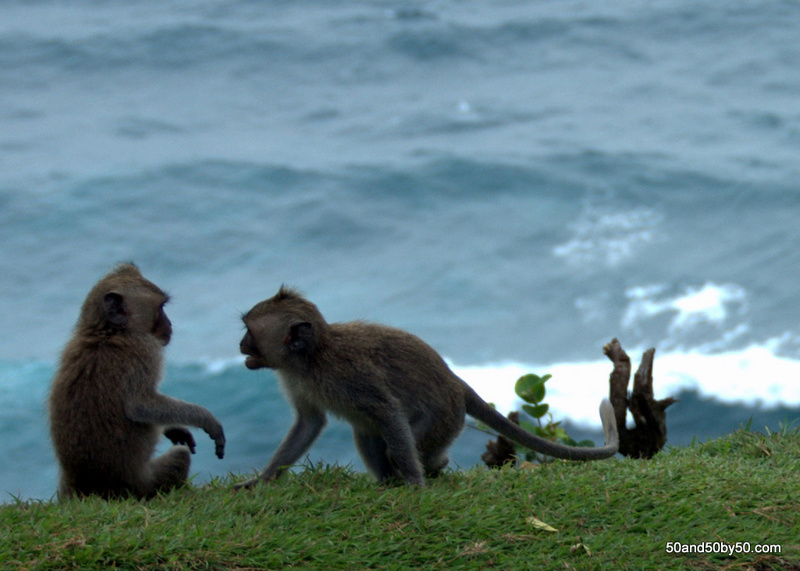 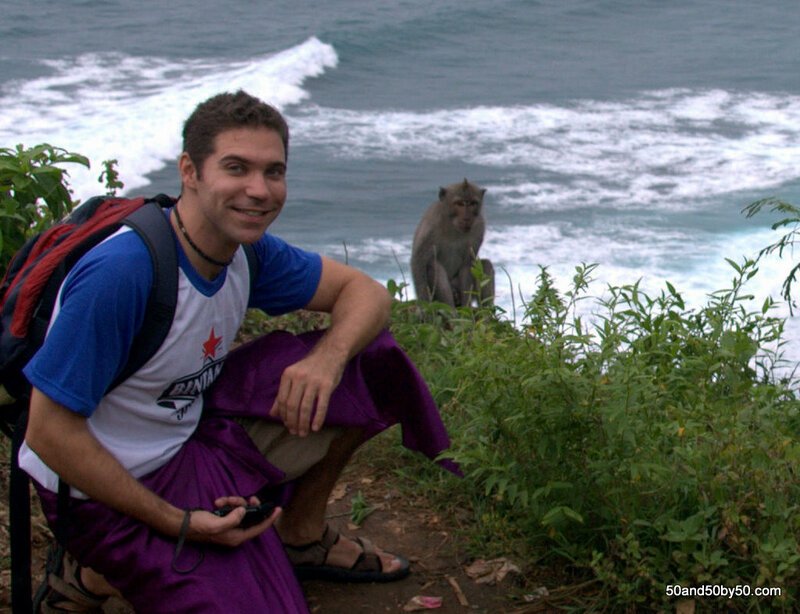 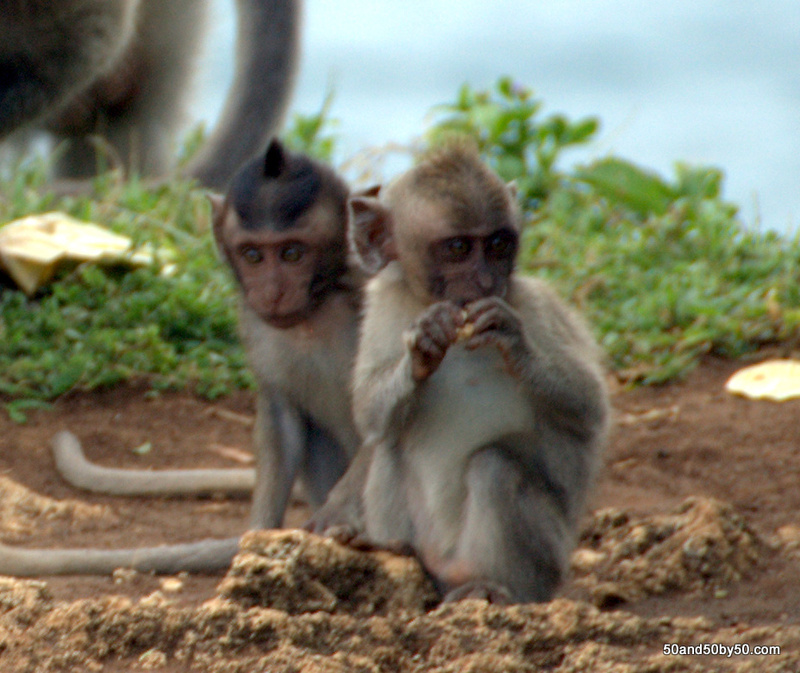 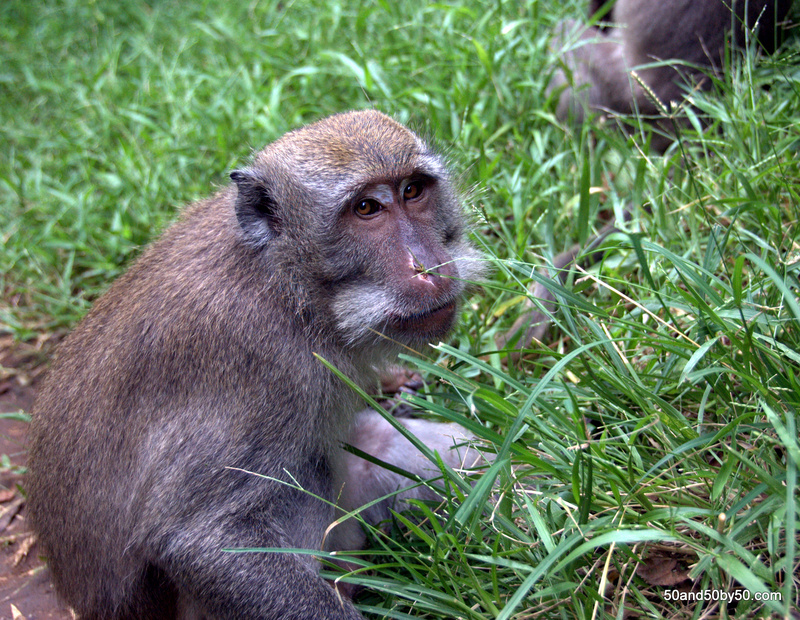 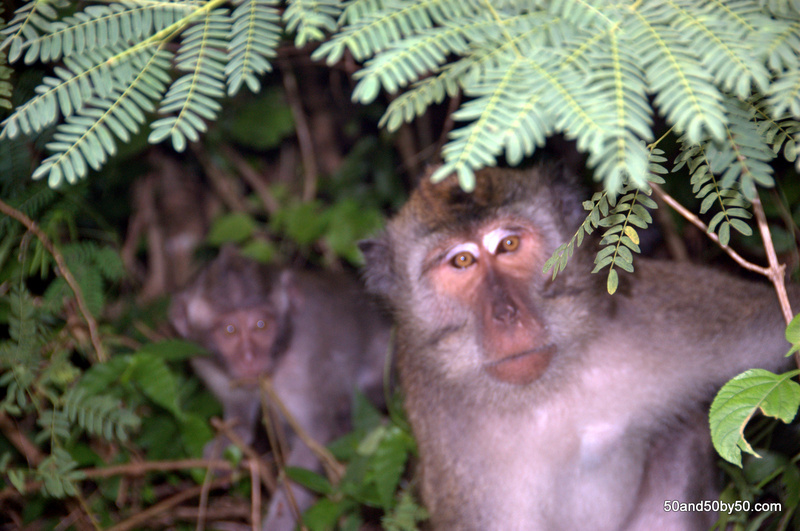 Ulu Watu - Monkeys Everywhere! 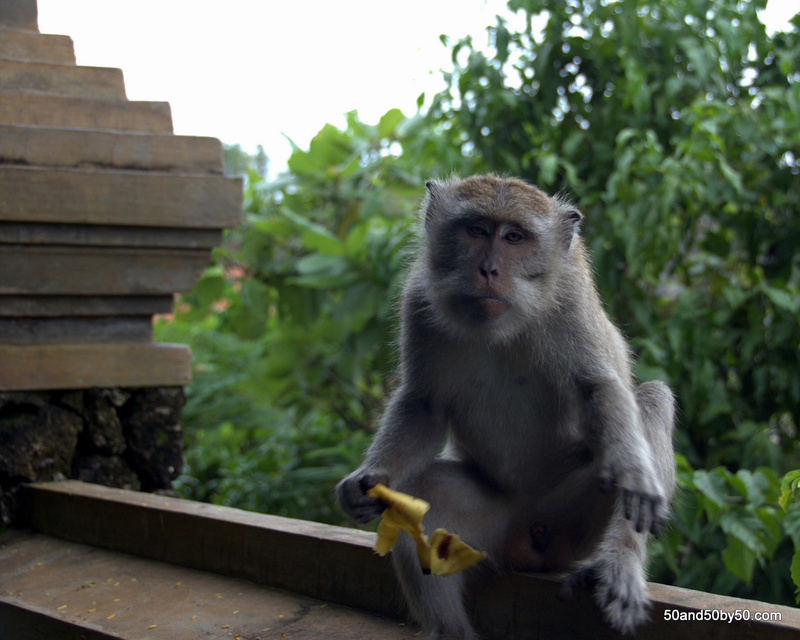 We went SCUBA diving in 2 sites in Bali — Tulamben and Nusadua, both right off the beach. 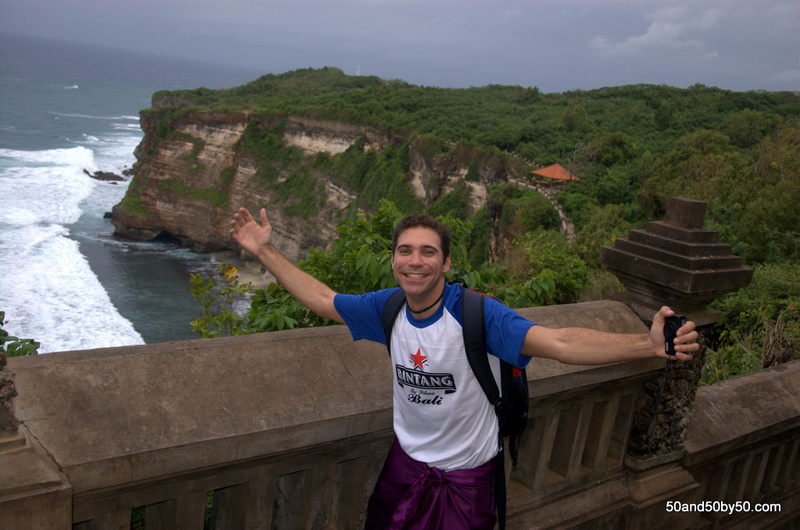 The second dive at Tulamben featured a shipwreck. The USAT Liberty (often referred to as the USS Liberty but it’s actually USAT – US Army Transport) was heading across the Lombok Strait in 1942, working as a cargo ship during World War II, when it was hit by a torpedo from a Japanese submarine. 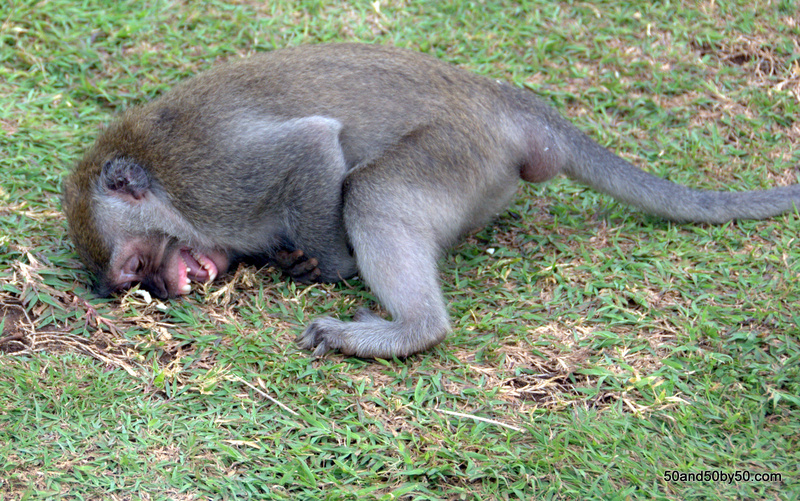 They tried to toe it but it didn’t make it. 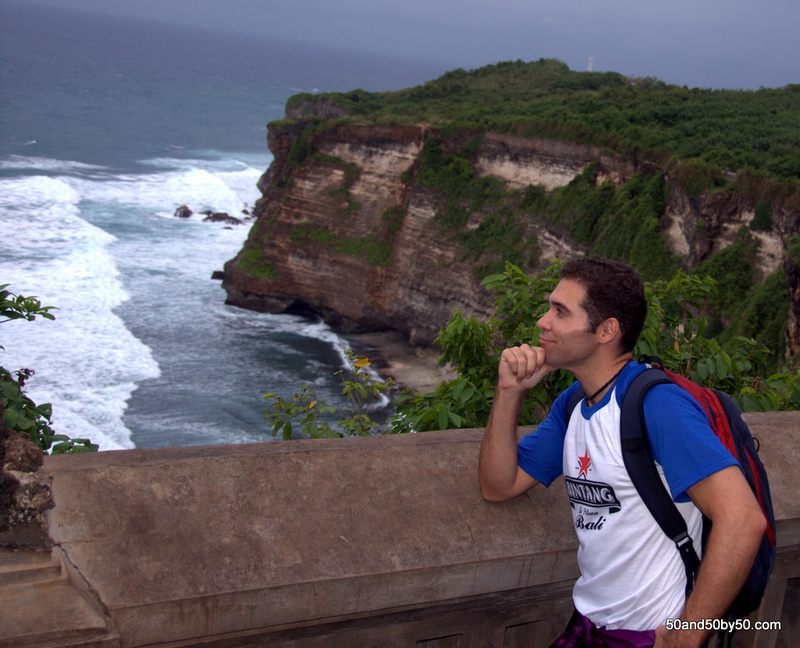 For years it was beached in Tulamben, grounded in the shallow part of Tulamben bay for more than twenty years until Mount Agung erupted in 1963, pushing it off shore. 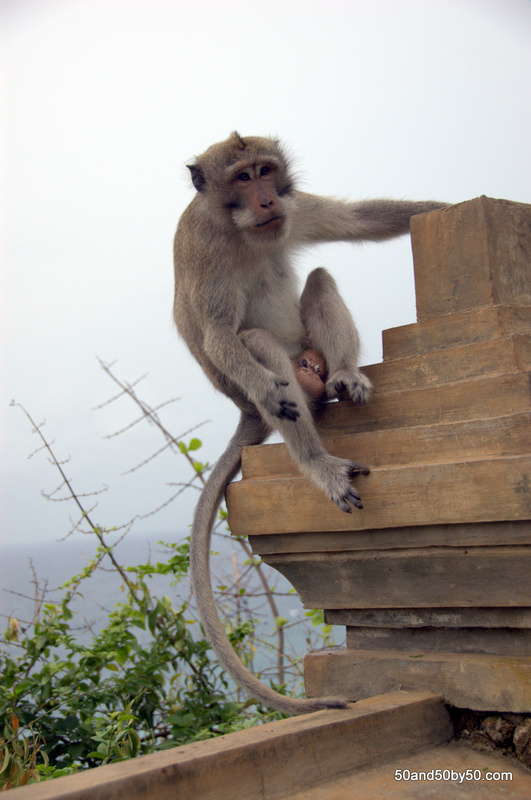 The subsequent earthquakes caused the ship to roll out into deeper water and broke its bow and stern.